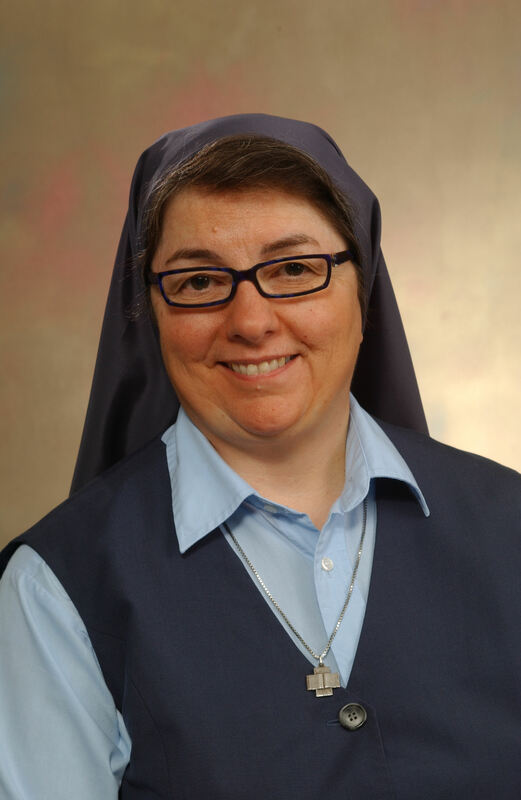 I am Sr Rose Pacatte,FSP director of the Pauline Center for Media Studies in Culver City, CA. I have an MEd in Media Studies from the University of London (UK) and a Certificate in Pastoral Communications from the Unviersity of Dayton. My primary work is media literacy education for parents and teachers within the context of culture, education and faith formation. I love movies and am the Film/TV columnist for St. Anthony Messenger Magazine: www.americancatholic.org . 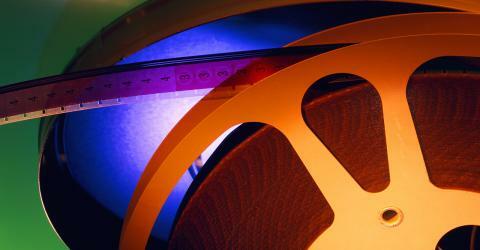 You can also find film and media education articles at www.PaulineCMS. This blog will be a media potpourri including film, television, book and other reviews, theology and spirituality of communication, information about media literacy education articles, activities and courses and all things relevant – or maybe not!- to these topics. I am not sure yet what I will do with my AOL blog. It has about five years’ worth of reviews and I don’t want to lose them. If anyone has any ideas, please let me know! Here is a link to Sr. Anne’s Joan’s blog (one of our sisters and #1 blogger!) with a widget that allows you to contribute funds to supply Christmas books for needy kids. Please if you can save your AOL blog material. You have so much “good stuff” there! Sorry to horn in here, but I thought your readers might be interested in Roger Ebert’s moving tribute to his deceased co-critic Gene Siskel. Would have sent this via email but could not find it posted anywhere. I cannot give permission; it is not mine to give. I wanted to sponsor my brother for the Cinema Divina class and just found out that the class was cancelled due to low registration. He is very interested in learning more about spirituality and film. Would it be possible for him to speak with you about the concepts you were going to discuss in the class? I see so much potential in his creativity and wanted to connect him to you somehow. Please let me know! Thank you so much! Thank you for your sessions on media spirituality today. Hope to keep in touch with you! Thank you for your lovely comments about my Shakespeare article. I am not really an internet person and I admire your work immensely here. I love your blog site! Since attending the Montreal Film Festival I’ve been going through computer purgatory with it crashing just as were changing email servers. Thus I’ve lost all my old address book entries, and when I tried to send my new email to Cineandmedia I received the message that I am not registered. Can you take care of this and change my old address (mcnulty@fuse.net) to this new one? PS–One of the joys of serving on the Ecumenical Jury at Montreal was getting to know one of your FSP colleagues Sister Marie Paul Curley. I have been reading your postings and I apologize for not getting back to you. On the road but when I get home I will check all email addresses. Sr Marie Paul said she enjoyed meeting you as well! At the http://www.signis.net meeting in Chiang Mail, Thailand. good morning los angles….i hope you so fine today…sister i have a problem. if you dont mind, i need your helping….. Saw HBO’s ‘Temple Grandin’ a week agio. Excellent script and an amazing portrayal by Claire Danes, who completely disappeared into the part. Have you reviewed it? I’m trying to get the word out about a fundraiser for a short Catholic film for children. I hope it isn’t inappropriate to share it with you here. I have an email that explains the project and fundraiser, and would like to forward it to you if I may? I stumbled upon your site doing research for other movie reviewers, blogs, and movie-related sites. I’m just beginning to stretch my legs and look around, and while I am a movie reviewer with my own blog, I think it is helpful and interesting to see what others are doing – especially when I find coverage of similar films or in your case, a different take on writing reviews all together. I look forward to reading more. I would also like to invite you over to my blog – Above the Line: Practical Movie Reviews and share your thoughts about my reviews, voice, and the structure I use. I decided to start a movie review site after graduating from grad school with an MFA in Film Production as a way to stay connected with the industry, share my own thoughts and education-based film study, and in general to continue to broaden my scope of connections near and far. I hope this finds you well and I look forward to exploring more of your site. Do you have the “premium” layout from WordPress? It looks wonderful. I can appreciate your doing older films as well. Come back anytime to visit my blog and I will try to visit yours. Got a question. What do you know about the movie “La Cristiada?” The trailer looks great and there are definitely big-name actors – who’s behind this film? What is your take on it? Do you know if it will have nationwide distribution? I’d be grateful for ANY information….THANKS! Hi, I have read your review – among others – about the movie “J. Edgar” by Clint Eastwood and, despite the interesting aspects of Eastwood’s vision of “american individualism” carried to unmitigated extremes, I think it largely underestimates the problem, constantly and obsessively present in today’s superficial way of “reasoning”, which is assumed around sexual disorder, and effective sin. In particular, I find basically wrong the idea and the general use it has been made of the term “sexual orientation”, especially related to faith and redemption, and the often misleading image we make up of God. It is a dangerously ambiguous term, to say the least, and I seriously think we should worry a lot less about how entertainment and media work, than about getting to the essentiality of christian life, as rooted in Christ’s image. Looking, for example, at Mother Teresa of Calcutta, which gave very little importance to the oscillating evaluations of secular thinking, while constantly dealing with it. And St. Pauls, as a publisher, has been doing really low profile things here in Italy, in the field of comics, while he excelled in the 1970s with the publication of comics magazine “Il Giornalino”. Rev. Christopher Carpenter suggested I contact you. He has RSVP’d to attend our screening of indie spiritual film ‘The Wayshower’ … I contacted him because I loved his ‘Tree of Life’ review so much. I’d love to have you with us also if you can!! Did you receive the information?